The 2018 Globe and Mail French River Cruise sold out in a matter of weeks, but now is your chance to join Globe and Mail journalists, editors and columnists on our journey to Paris and Normandy in July 2019. This tour is provided by award-winning Scenic, the ultimate in luxury river cruising, with over 30 years of touring experience. They embrace the passion and commitment to delivering excellence in river cruise experience. They’ve thought of every handpicked detail to provide you the Globe and Mail Seine River Cruise, delivering wonder every day of the journey. The trip itinerary is the product of exhaustive research and care; each aspect has been chosen, or created, to surpass expectations. Enjoy on board five star onboard cuisine, culinary excursions, welcome a Michelin-starred chef, and dine in restaurants handpicked for you. With both a journalist and guide on tours, gain an insider’s perspective and a deeper appreciation for the heritage and history of the country. 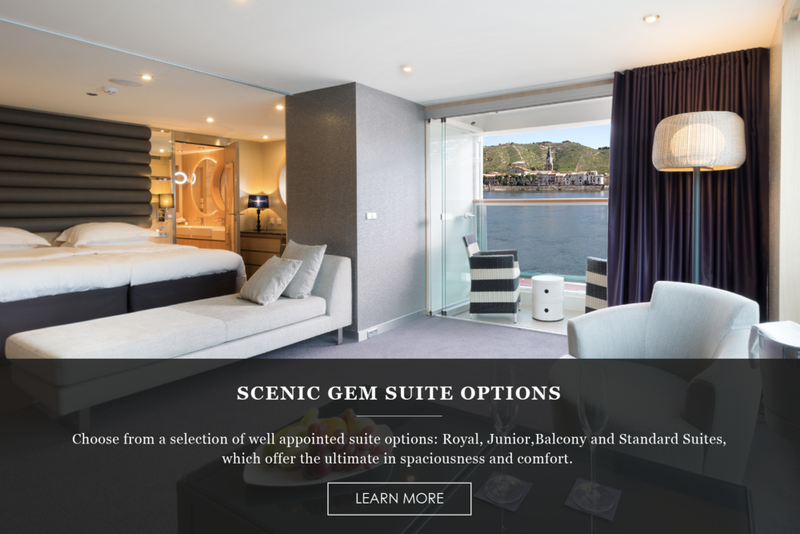 Enjoy time relaxing on the luxurious Scenic Gem ship or attend an on shore excursion carefully curated by Scenic & The Globe. With thoughtfully appointed rooms and the attentive service of a butler for every guest, every detail has been considered on board.